The St. Louis arch, more formerly known as "The Gateway Arch" or the "Gateway to the West" is the second tallest freestanding monument in the world after the Eiffel Tower. No matter what it's history, it's definitely a majestic structure. 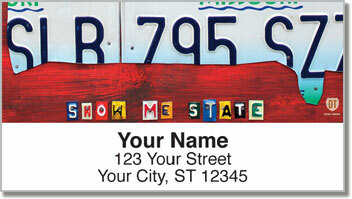 You're sure to fall in love with it, just like you will with these address labels featuring the vintage license plate art of David Bowman. 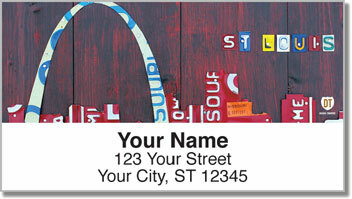 Never cramp your hand writing return addresses again with the self-adhesive backing on these labels. 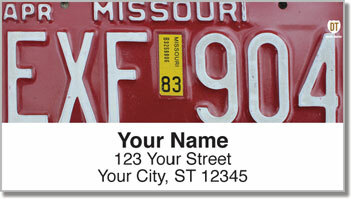 If you order now you can get a custom font for just $2.95 extra. 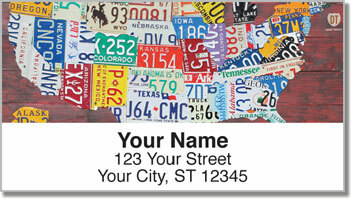 Order these labels online and get shipping absolutely free.